Portuguese scientists were able to obtain data that will make radically revise the idea of Legionnaires’ disease. For the first time in the history of medicine has been fixed Legionnaires disease case of transmission from person to person. Mankind has learned of the existence of such deadly diseases as legionellosis or Legionnaires disease is only 40 years ago. Throughout this time, the doctors were sure that its transmission of the pathogen from one person to another is not possible. 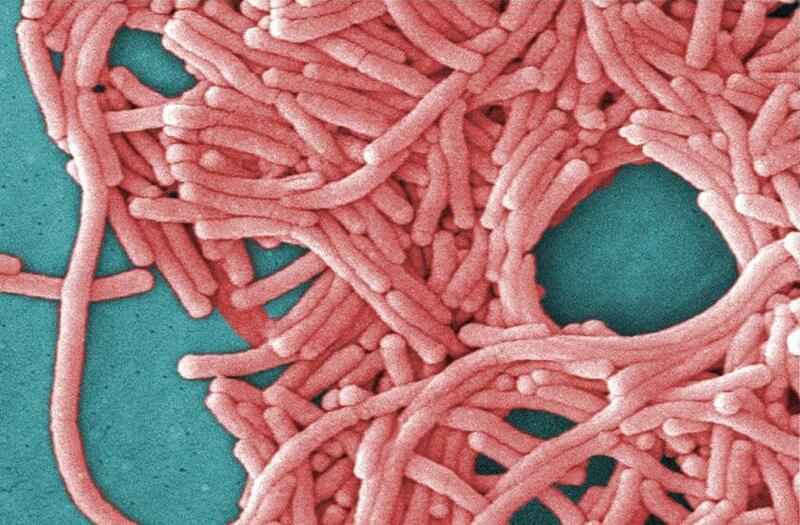 Infection of Legionella bacteria of the genus is the causative agent of Legionnaires disease, usually occurs by inhalation of air saturated with water spray, which contains the microorganisms. However, the regional hospital staff in the Portuguese city of Porto (Northern Regional Health Administration in Porto) reported infection of a family member of the patient Legionnaires disease that occurred as a result of direct contact. Who contracted with Legionnaires disease? The authors of the publication in the February issue of the journal New England Journal of Medicine have observed a 48-year-old man who contracted Legionnaires disease when to repair the cooling system of the central air conditioning large office center in the suburbs of the capital Lisbon (Lisbon). The disease is manifested in him after he returned home in Oporto city, located 300 km from Lisbon. For several days his 74-year-old mothers nursing a sick son, but soon the symptoms appeared and it. The woman of the past few months did not leave the limits of his native city, which during this period has not been a single case of Legionnaires’ disease, which ruled out its infection before the arrival of his son. Portuguese scientists believe that this case is undeniable proof that the Legionella bacteria in some cases can be transmitted from a sick person healthy.